The Leadership New Braunfels Alumni Association will host a Candidates Forum for LNB Alumni and members of the LNB Class of 2018 on Friday, February 23 from 11:15 a.m. to 1:00 p.m. at the McKenna Events Center. 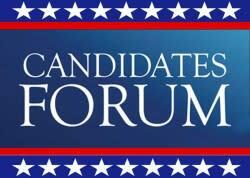 The forum will feature candidates for the contested races of the March 6 Primary Election. Registration Deadline is Tuesday, February 20 at 2 p.m. Early voting begins on February 20th with March 6th as Election Day. Lunch will be catered by Pavlock’s Cafe & Catering. This event is sponsored by Corridor Title Company, First Commercial Bank, and Miller & Miller Insurance Agency.